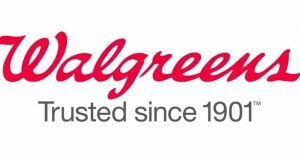 Founded in 1901 as a single drugstore, Walgreens today is a provider of trusted care in communities around the U.S. Through constant innovation, Walgreens has a history of breaking new ground to meet its customers’ needs and improve their health, from offering self-service stores beginning in the 1950s to developing a 5-star rated mobile app today. In its pharmacies, Walgreens was the first major drugstore chain to put prescriptions into child-resistant containers in the 1960s (long before it was required by law) and in 2016 was the first to offer safe medication disposal kiosks in its stores. Walgreens is giving away $3,000 cash! The sweepstakes is open only to legal U.S. residents, 18 years of age or older at the time of entry, excluding the residents of Puerto Rico. Employees of the Walgreens family of companies and their immediate family members (spouses, parents, siblings, children and each of their respective spouses) living in the same household are not eligible to enter, win or otherwise participate. You may enter the sweepstakes in any of the following ways: (i) ONLINE: Beginning 12:00:01 AM (CST) on , through 11:59:59 PM (CST) (as determined on Sponsor’s server clock) on , enter online by visiting www.walgreenslistens.com, if you are a Walgreens customer, or by visiting www.drelistens.com if you are a Duane Reade customer. At your respective website, you will be prompted to enter the “survey number and password” found on your register receipt to complete a customer satisfaction survey. Customer satisfaction surveys must be completed within 72 hours upon receipt of the invitation. Upon completion of the survey and acceptance of the sweepstakes official rules, you will receive one entry into the sweepstakes. You are responsible for any telephone charges, and normal time rates, if any, charged by your internet provider. (ii) TELEPHONE: Walgreens customers may enter the sweepstakes by calling 1-800-2197451. After you complete the automated customer satisfaction survey, you will receive one entry into the sweepstakes; or (iii) TELEPHONE: Duane Reade customers may enter the sweepstakes by calling 1-888-424-1018 After you complete the automated customer satisfaction survey, you will receive one entry into the sweepstakes; (iv) MAIL-IN: Walgreens family of companies drug store customers may enter the sweepstakes by mail by hand printing your name, age, complete address, daytime and evening phone numbers on a 3 x 5-in. piece of paper and mail it, in an envelope to: Customer Satisfaction Sweepstakes, Dept-S7763 P.O. Box 4006, Grand Rapids, MN 55730-4006. Mail-in entries must be postmarked by and received by . Mechanically reproduced entries will not be accepted. All entries become property of Sponsor and will not be returned. (v) E-MAIL: Select customers who have agreed to accept email messages from Walgreens may have survey invitations emailed to them. All other conditions apply. One (1) Grand Prize: Grand Prize Winner will receive $3,000, awarded in the form of check. Prize may not be substituted, transferred, or exchanged except at the sole discretion of the Sponsor. After you may obtain a winner’s list by mailing a self-addressed stamped envelope to Winner’s List – Customer Satisfaction Sweepstakes, Dept-S7763 P.O. Box 4006, Grand Rapids, MN 55730-4006.